Tami Wihlen is a Retirement Plan Specialist and a Financial Advisor to both corporate and individual clients. Tami co-founded Excel’s Qualified Retirement Plan Division and created a unique compliance documentation system used in Internal Revenue Service (IRS) and Employee Retirement Investment Saving Act (ERISA) audits. As a Retirement Plan Specialist, she educates plan sponsors and participants regarding their rights and responsibilities. Tami brings a disciplined and balanced approach to her clients’ planning objectives, offering every client a high level of expertise, responsiveness and service. Tami is a graduate of the University of Maryland with a Bachelor of Arts Degree in Economics. Tami is active in various community charities and has founded her own charity with her two daughters. 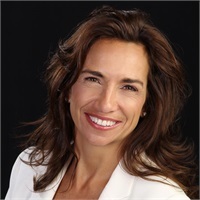 She has served on the Board for the National Association of Women Business Owners, Small Business Council, and was a member of Young Presidents Organization (YPO). Tami has spoken at The Spark Institute’s Executive Summit and has been cited in Money Management Executive Magazine. Tami was honored to support a dear friend, Prem Parameswaran, Chief Financial Officer and President of Eros International’s North America as he and the stars of Metro Park rang The Opening Bell at the New York Stock Exchange on Friday March 1, 2019.